Europa Nostra is Latin for “Our Europe”. It’s also the name of an umbrella organisation comprising more than 200 national associations from more or less all the countries in Europe. From modest beginnings, Europa Nostra has developed into a leading player within European cultural heritage issues. 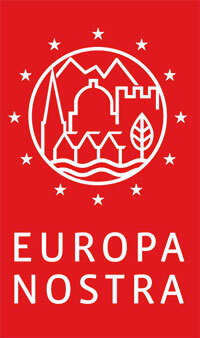 All three wooden towns have been awarded prizes from Europa Nostra. In addition, Nora has been awarded Europa Nostra diplomas for individual sites – the Parish House (2002) and the Gyttorp community centre (2002).